Motorcycles and scooter are often stolen. A motorcycle or scooter can be easily stolen even when it has approved padlocks and, once it has been stolen, the probability of finding it again will be small. Only 19% of stolen motorcycles and scooters were found again in 2014*. 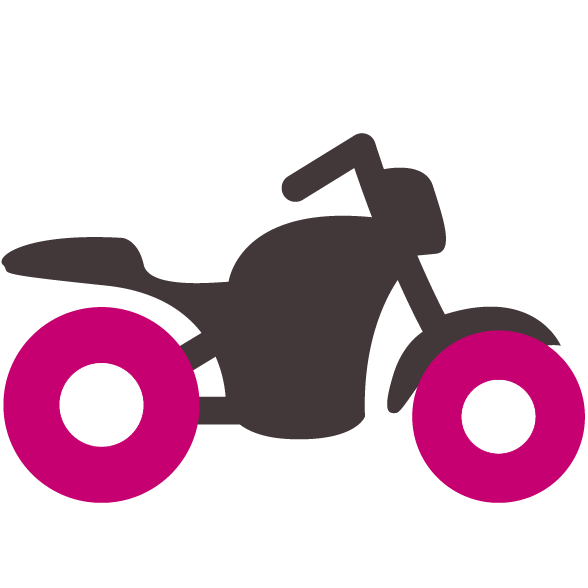 You can use a 12Trace Track and Trace system to increase the probability of finding your two-wheeler considerably. Our wireless GPS Track and Trace systems are easy to install and cannot be detected by scanners. Do you always want to know where your motorcycle or scooter is? Choose one of our GPS track and trace systems. *Figures of the SAVC. 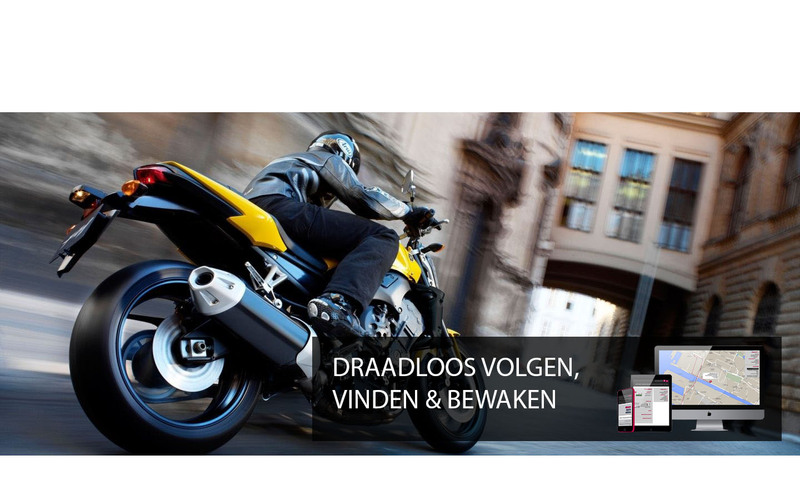 A wireless GPS Track and Trace system of 12Trace to protect your scooter or motorcycle. Large probability that your motorcycle or scooter will again be found after being stolen. Wireless small device that can be easily installed and concealed. No installation work required: plug-and-play. If you buy another motorcycle, you can easily move it to the new one. You will always know where your motorcycle or scooter is. Inexpensive system to additionally protect and monitor your motorcycle or scooter. The wireless GPS Track and Trace systems are easy to position and do not require installation! If you sell or exchange your current motorcycle or scooter, you can easily transfer the Track and Trace systems to your new motorcycle or scooter. You will always know where your scooter or motorcycle is. GeoFence is a virtual fence that you can configure that is placed around your motorcycle or scooter. You will receive an alert through SMS or email when your motorcycle or scooter is outside a zone that you define. You can then see where your motorcycle or scooter is through your online account. GeoFence has two options. An ActiveFence and a FixedFence. The ActiveFence is ideal for motorcycles or scooters. You have a co-travelling fence with ActiveFence. You are riding down a beautiful route with your motorcycle or scooter and decide to take a break somewhere. The virtual fence will be positioned around your motorcycle or scooter after a period has elapsed during which the motorcycle or scooter is stationary that is configured in advance. If the vehicle leaves the configured zone, you will receive an alert. Your motorcycle or scooter will be protected against theft to a certain degree with a padlock or alarm system. However, if your motorcycle or scooter is stolen, an approved lock or the deactivated alarm system no longer provide assistance. Finding your motorcycle or scooter again is what is then really important. The 12Trace Track and Trace systems make this possible. Would you prefer to have a wired Track and Trace system? 12Trace has a solution for this too. The GeoChaser Guard. The GeoChaser Guard has all the advantages of the wireless GeoLocker, but is connected to the battery of your motorcycle or scooter.